The Zooniverse team is a mix of web developers, educators, and designers. What would happen if you locked this group into a glass-sided room with like-minded folks from the New York Public Library Labs for three days? 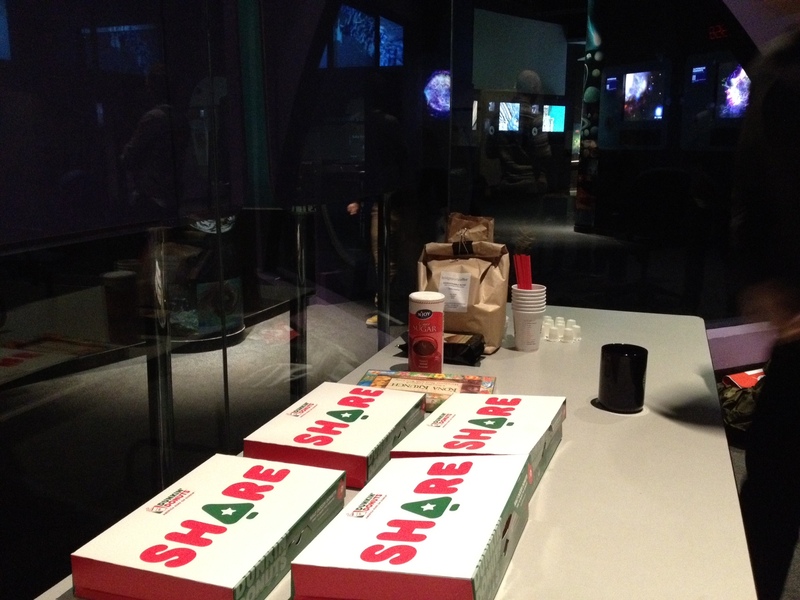 That’s what we’re trying – three days of hacking in the Cyberspace Studio at the Adler Planetarium! For updates on our progress, check out @ZooTeach or @the_zooniverse on Twitter. Sugar and coffee, let’s build! Previous PostZooniverse Education Chicago Classroom VisitsNext PostNo Right Answer?